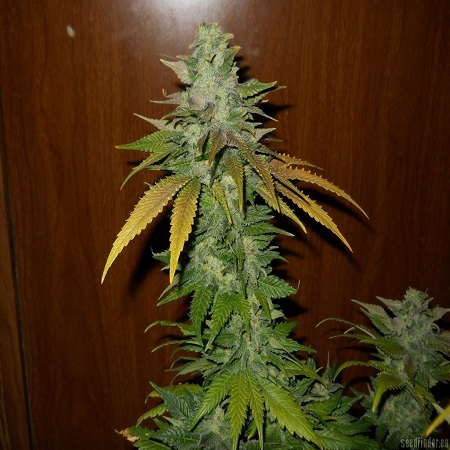 TNT Kush Feminized Marijuana Seeds by Eva Seeds: This is a Kush from the mountains of Pakistan. It has an overwhelming power, indicated 100% effective. Large numbers of trichomes of enormous volume, very compact and hard buds. It is easy to grow, especially in nitrogen-poor soils, as it is kept very green with few nutrients. 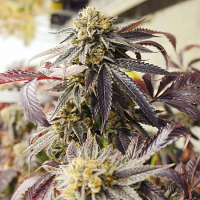 Outdoors buds give rise to long shoots. 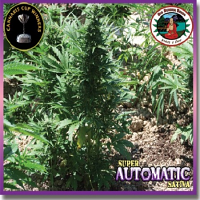 With indoor growing, flowering appreciates high temperatures, giving more generous buds. It is a true resin plant. Special odour, nutty and cypress, cherry tones and star fruit ripen. The flavour adds a touch of bitter almond and chocolate.